FAIRMONT, W.Va. /eNewsChannels/ — Backbone Security is pleased to announce the release of Version 3.9 of the Steganography Application Fingerprint Database (SAFDB) which now contains more than 925 steganography applications. Existing customers may download updated versions of StegAlyzerAS and StegAlyzerRTS that contains SAFDB v3.9 by logging into their account on the SARC web site at http://www.sarc-wv.com . For additional information about Backbone’s steganalysis tools, please visit the SARC web site or send email to sarc@backbonesecurity.com . In addition to being the leading provider of digital steganalysis tools, Backbone is a Payment Card Industry Data Security Standard (PCI-DSS) Approved Scanning Vendor (ASV) that conducts automated PCI-DSS compliance assessments with their industry leading One-Stop PCI Scan service. Backbone also provides real-time intrusion monitoring, vulnerability assessment, penetration testing, and business continuity and disaster recovery planning services. 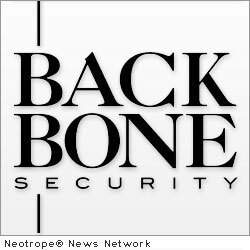 More information: http://www.backbonesecurity.com . Copyright © 2011 Neotrope® News Network – all rights reserved.